You want to move to Mallorca? We help you. We offer a comprehensive, flexible and personalised service. Our job is to make sure that, right from the very start, our clients not only are fully operational, but also feel entirely at home. Together with our customers we compile cost-efficient, customised service packages from our extensive service catalogue. Our orientation tour is designed to give our clients an initial impression of their new city. The tour is tailored to each client ensuring that it addresses individual concerns and highlights the major aspects of living in Mallorca. Whether our clients are interested in a Villa or a quiet finca in the middle of the island, we will find the right type of living accommodation. The arrival at the new place of residence is always connected with various, individual tasks. 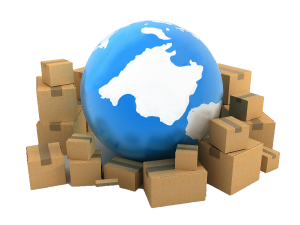 Business Brokers Mallorca ensures that the relocation runs smoothly. Coordination of the relocation, the craftsmen, the supply and telecommunication providers, we take care of it. We help our clients to find sports and leisure clubs as well as doctors and schools. The overall goal is to make them feel at home right from the very start. We inform you about the necessary steps of a car registration and advise you which documents are needed. We arrange appointments at the ITV Service Centers and the corresponding approval offices. In addition, we accompany the customer to these.